The town fund is found at the Town Hall. Say “Town Fund” to Pelly/Phyllis to access it in order to donate bells. If you donate enough money you get the following ‘prizes’. Note: Make sure to give the right amount in total all at once, or you may not get the 'prize'. You will need to speak to Pelly, in the town hall, the day after you have donated to vote for the location of the new bridge. A week later it will be built in your chosen place. 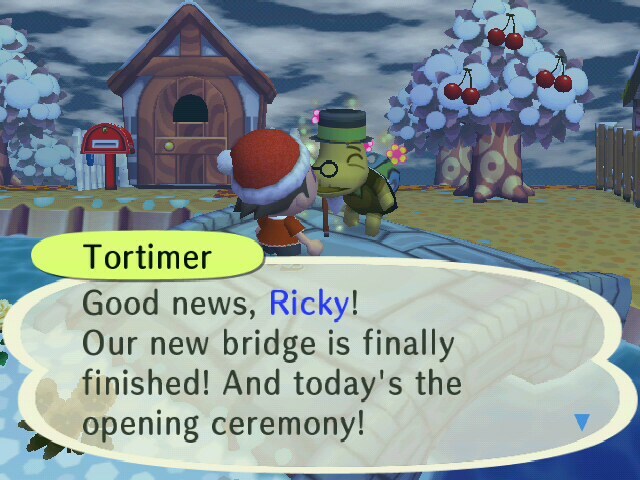 If you have multiple characters, all of them will have the chance to vote for the position of the new bridge. Note: The chosen place is from a selection of places that Pelly will present to you, as you just can't post it anywhere. This amount is in addition to the 200,000 for the bridge. A week after you donate this amount a fountain will be built in your town. 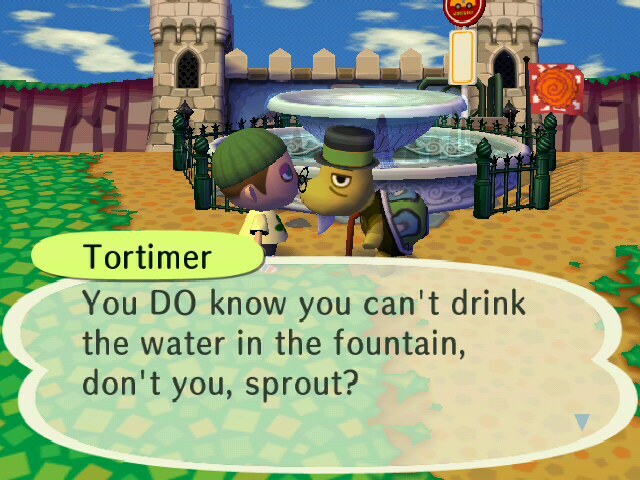 On the first day Tortimer will hang around in front of the fountain and will not allow you access to it. After the first day however, you can approach the fountain and throw in your axe. Serena, the goddess of the fountain will appear and, if you are lucky, you may be granted a gold or silver axe in return. If not, you will either get your normal axe returned or lose it altogether. Again, this will take a week to arrive and will be placed somewhere along the beach in your town. 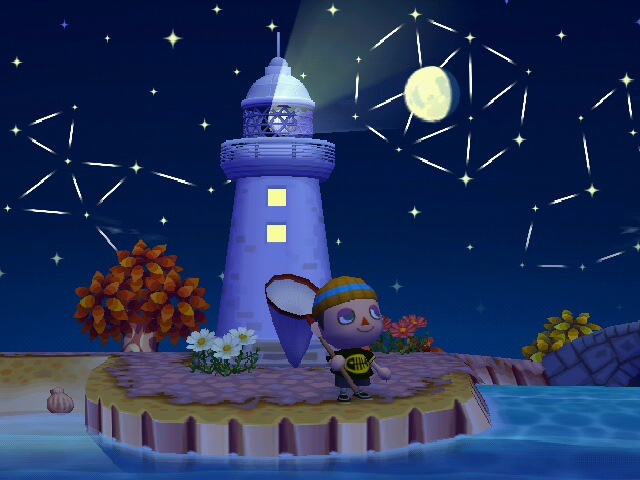 Note: If you donate a further 1,000,000 bells you get the option to swap your windmill for a lighthouse or vice versa. WARNING: Make sure not to donate over the amount that you are required! You will end up losing that money, as it will not carry over to the next landmark. Do you get anything for saving bells in the bank? These feathers have no purpose other than to look pretty in your hair.